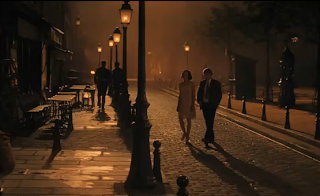 Essential plot rundown: A writer travels to 1920s Paris every night at midnight. 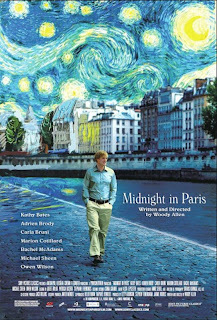 I'm not too familiar with Woody Allen movies, considering I've only seen one other one. But I had high hopes for this movie, after it was nominated for and won several academy awards and it's Woody Allen's most successful movie. However, I was disappointed. I didn't like the story; I thought it was boring. 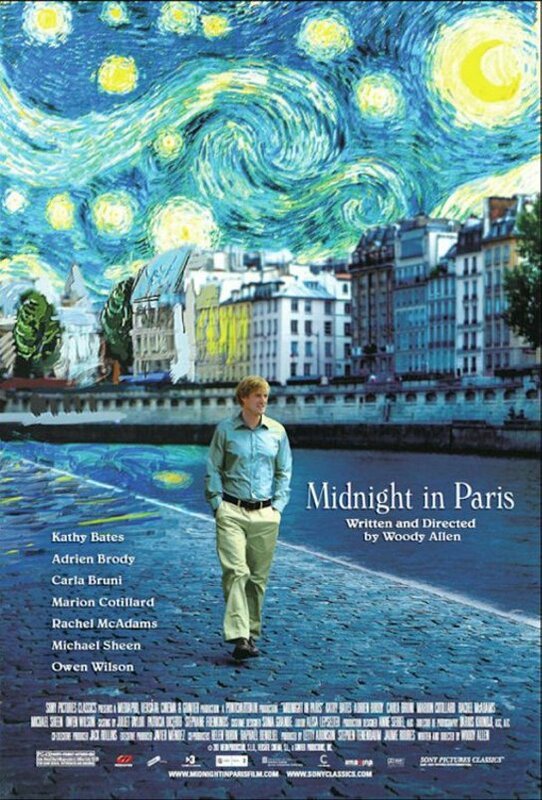 By day Gil (Owen Wilson) hangs out with a bunch of unlikeable people and by night he hangs with a bunch of famous dead people. But there was no forward motion, no story progression. Sure, at the end he realizes something about himself and his relationship, but that only happens because of what occurs at the end of the movie. I didn't see any growth in the character. I wasn't invested in anything happening on screen. And Gil accepts the fact that he travels to the 20s too nonchalantly. He was like "Huh, that was kind of weird, but oh well." Personally, I would be totally freaked out and wouldn't act like him. But, that is a minor detail. So, yea, I thought it was really boring. I remember looking at the time and seeing that an hour had passed by and thinking It's been an hour already and nothing has happened? I don't know, maybe I'm missing something, but I didn't like it.